Did you know that half a million dollars were given to 10 houses of worship for solar on their buildings in 2013? Thanks to the thousands of Blue Sky customers of Rocky Mountain Power who all paid a little extra each month so that these houses of worship could secure solar arrays that will generate 160kW each year! I want to share the exact numbers. In 2013, ten (10!) houses of worship were awarded a total of $556,650 for 160 kW of solar from Blue Sky customers. Until these 10 awards were given to faith communities, only four houses of worship in the previous five years had receive Blue Sky funding. 2013 was a watershed year for solar power on houses of worship. And I would love to see 2014 be another banner year. If your house of worship is even a tiny bit interested in applying for Blue Sky support in 2014, please contact me soon – susan@utahipl.org or 801-554-9495. Thanks for the many ways that you support Utah IPL and renewable energy! Dale Ann and I had a terrific time in Washington D.C. at the IPL Conference. We heard about many wonderful things happening in other states and learned about the efforts of a nonprofit called Blessed Earth that is connecting the keeping of the Sabbath with Creation Care – consuming much less at least one day a week. They call is 24/6. Also, a man from Maine shared how he and a friend started making window inserts for their UU church, to keep out the cold, and then described how it blossomed into a thriving non-profit, helping lots of churches make window inserts for energy efficiency. 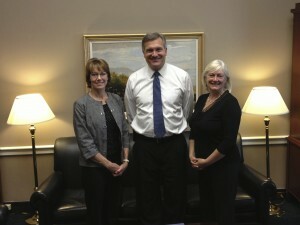 On the last day, we met with Rep. Matheson and the aids of Senator Lee, Reps. Chaffetz and Smith. The U of U Law School hosted a terrific Steger Symposium titled: Religion, Faith and the Environment. Utah IPL was able to be a sponsoring organization and we were thrilled to be part of this event. It really was a stellar event and I think the presentations and discussions will continue to reverberate throughout the valley and state for quite some time. I am pleased to report that Utah IPL funded three energy audits in the last couple of months. The St. Thomas More Catholic Parish in Sandy, the St. Olaf Catholic Parish in Bountiful and the First Presbyterian Church of Logan all received energy audits through Utah IPL. Utah IPL had booths at three locations in the past two months. Also, we will have a booth at the Park Silly Sunday Market on June 16. 3) Jason Brown set up a booth at the Great Salt Lake Bird Festival and he created a flier describing the relationships several faiths have with birds. With very mixed emotions, I accepted the resignation of Dale Ann as the Director of Communications. She has been such an integral part of the organization, for so long, that her departure will be leave a gaping hole. A HUGE thanks to Dale Ann for all that she had done to foster, support and grow Utah IPL! 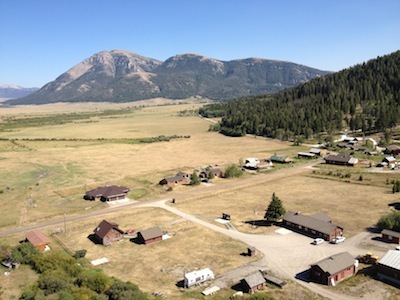 Two weeks ago, I had the great pleasure of spending four full days in a resurrected ghost town in Montana’s Centennial Valley, discussing what Eco-Spirituality means personally and what it might mean for life on this planet. 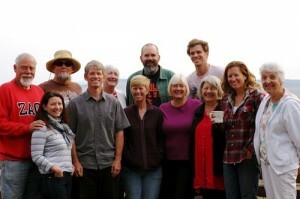 The Eco-Spirituality Workshop was hosted by The Environmental Humanities Education Center of the University of Utah. I can’t put into words all of my thoughts and feelings of those four days but George Handley, one of the facilitators, did a terrific job of capturing the retreat from his perspective in his blog. I was amazed at wide age range of the 10 participants (mid 20s to mid 70s). I was impressed by the geographic representation: Northern California; Wisconsin; Texas, and many parts of Utah. I was challenged by the two fantastic facilitators: Rev. Tom Goldsmith of the First Unitarian Church and Dr. George Handley, a professor at Brigham Young University. I was wowed by the readings, poems, lectures, discussions, and shared writing. I was moved by the personal grappling that each person has done and is doing to figure out how to walk lightly on this earth. I was blessed by the vast and diverse life experiences each person brought to this retreat. And I was stunned by the natural splendor and rugged beauty of the Centennial Valley and the Red Rock Wildlife Refuge. Each evening we were graced with a presentation or musical recital. And each day we wove an outdoor expedition into our thoughts and readings and discussions. This retreat opened my heart in new ways. It also gave me hope for a future that will move beyond fossil fuels and clogged legislative arteries to a community of people who care deeply for each other and all living creatures. I caught a glimpse of a society that can and will redefine what it means to be “successful” and will reprioritize everything in order to care for all of creation. And I believe in my heart of hearts that people of faith can help move us to where we need to be in order to save this planet from ourselves. At the end of June, I am celebrating one year with Utah Interfaith Power & Light (UIPL) and it has been an amazing year! The board of directors asked me to give you a regular update of what is going on with UIPL. Thus, here my update for June/July. 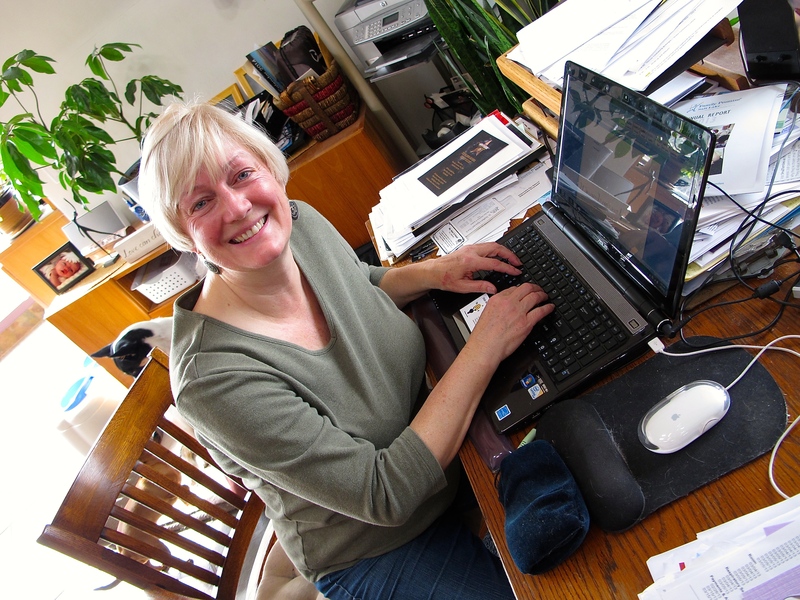 Great news: Dale Ann Petersen was recognized at the second annual Solar Day as creating the best green newsletter in the state! We adore Dale Ann and appreciate all of the time she puts into each newsletter. Congratulation, Dale Ann! Alan Naumann, the organizer of Solar Day, wants to get enough donations of solar panels from local solar companies that UIPL can offer a decent system to a house of worship in Utah. More information will be forthcoming about how faith communities can apply to be considered for the solar system donation. Jason Brown, a part-time UIPL staff, is conducting “energy diet” workshops for congregations and neighborhoods. If you are interested, please contact Jason by phone: 801-420-8068 or via email: jason@utahipl.org. Please set aside your lunch hour on Tuesday, July 17, from 11:30 to 1:00. UIPL, the Episcopal Diocese and the U of U Biology Department are hosting an inspiring conversation about the reverence of trees in all faith traditions. More information about this event will be posted soon on our website. THANK YOU for all of the small and large ways in which you care for God’s creation! Please send UIPL a photo and/or story if your faith community is doing something to help mitigate climate change. We want to recognize all of your hard work!